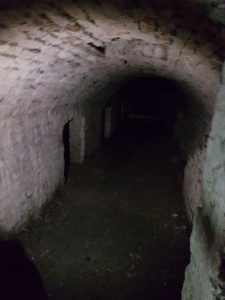 Deep beneath the gardens of Wisbech Castle lie The Vaults. 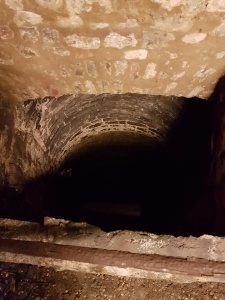 This extensive series of underground passages has a long history of different uses including as a prison for a brief period of time. 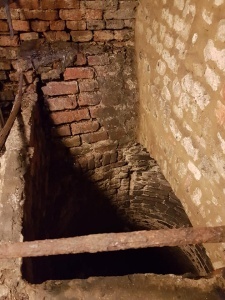 The well and some earlier wall materials may have mediaeval origins. 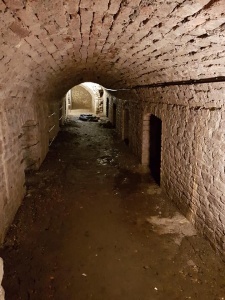 Entrance to the vaults faces east and was built by Joseph Medworth c.1816 for access to the well. 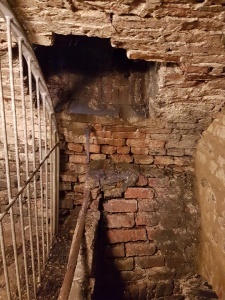 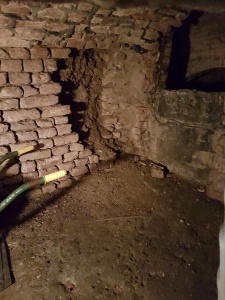 The Wisbech Castle Project is bringing the vaults back for public access, with plans to add audio/visual effects and props in keeping with the historic uses of the vault to create an interesting and atmospheric public and tourist attraction.